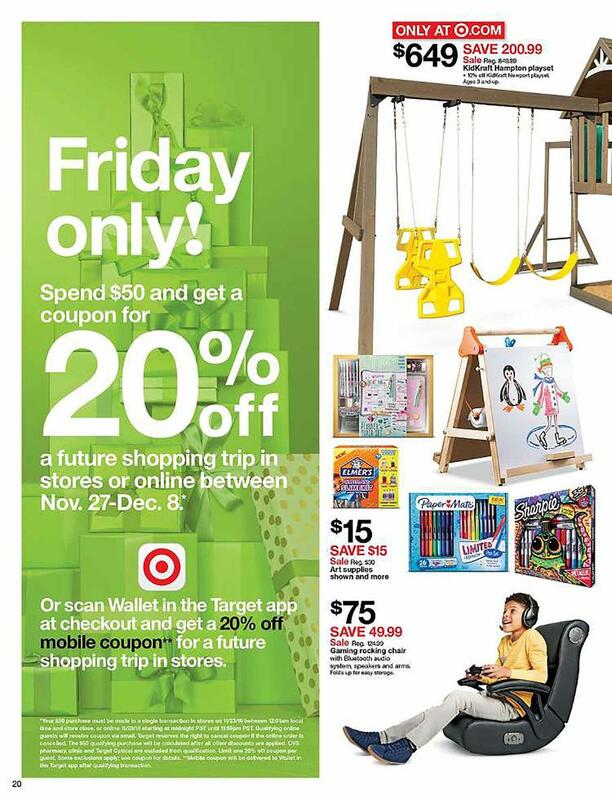 Target stores will be open from 5PM on Thanksgiving Day. 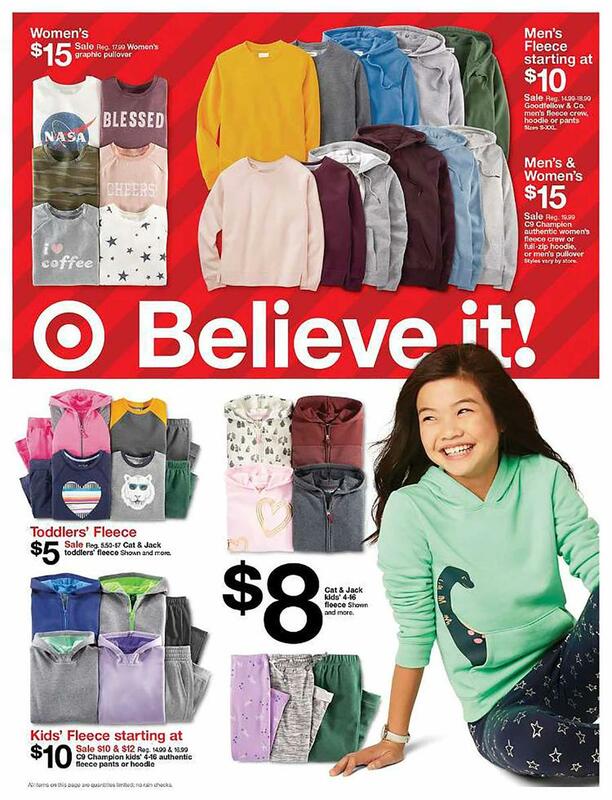 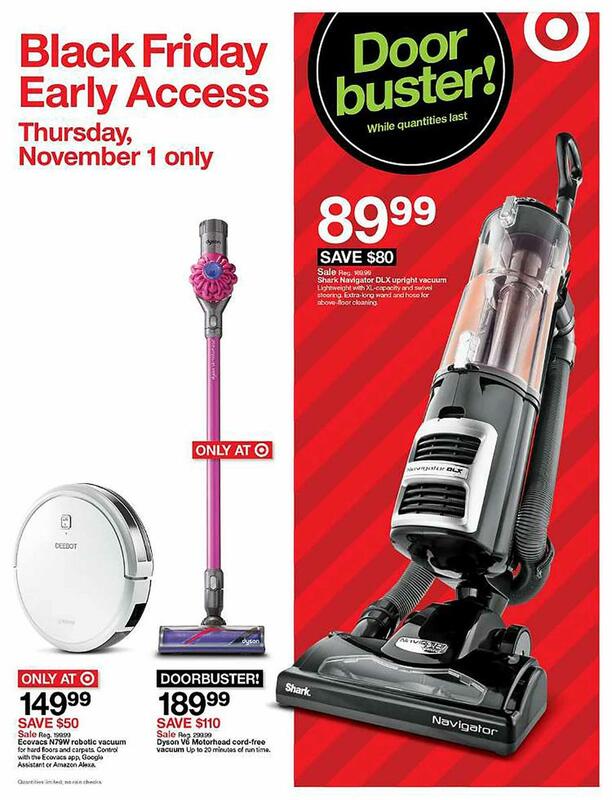 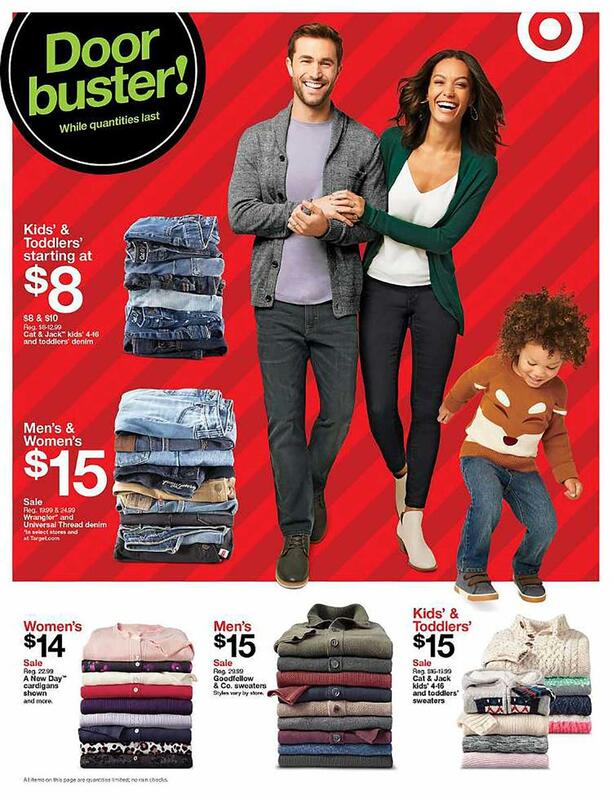 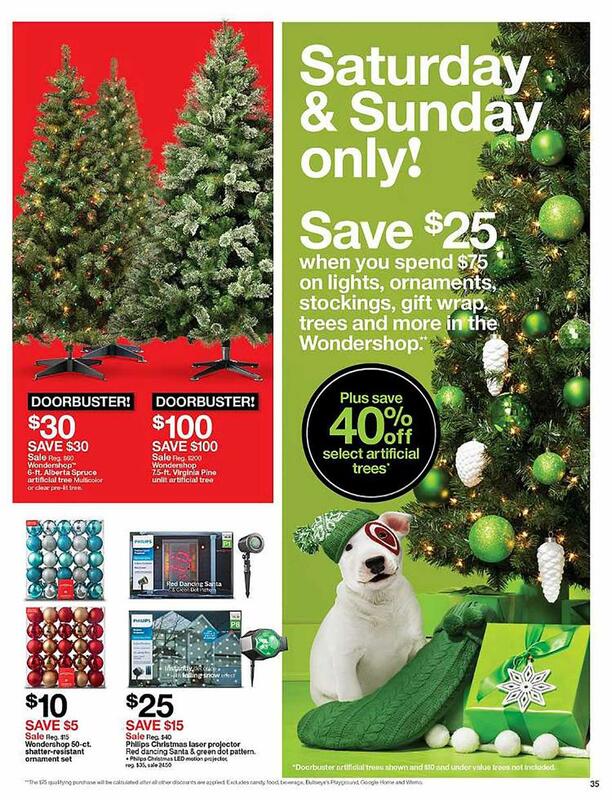 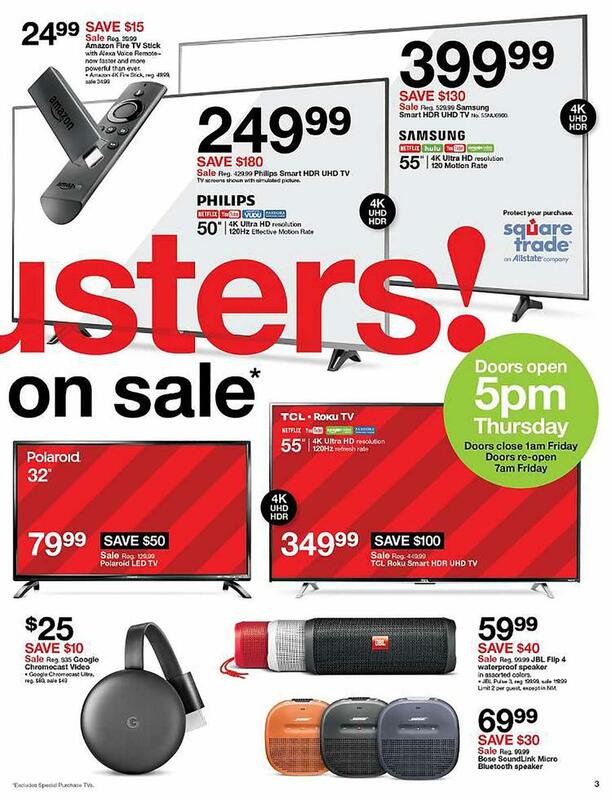 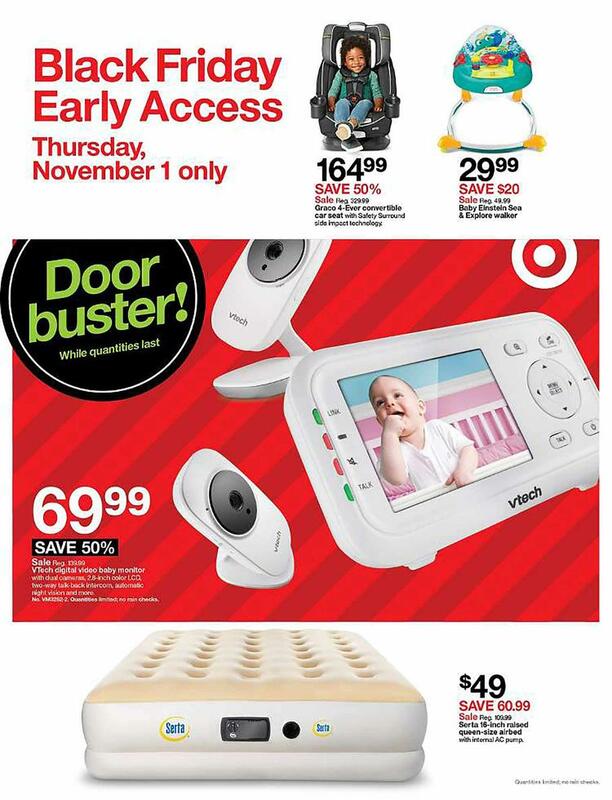 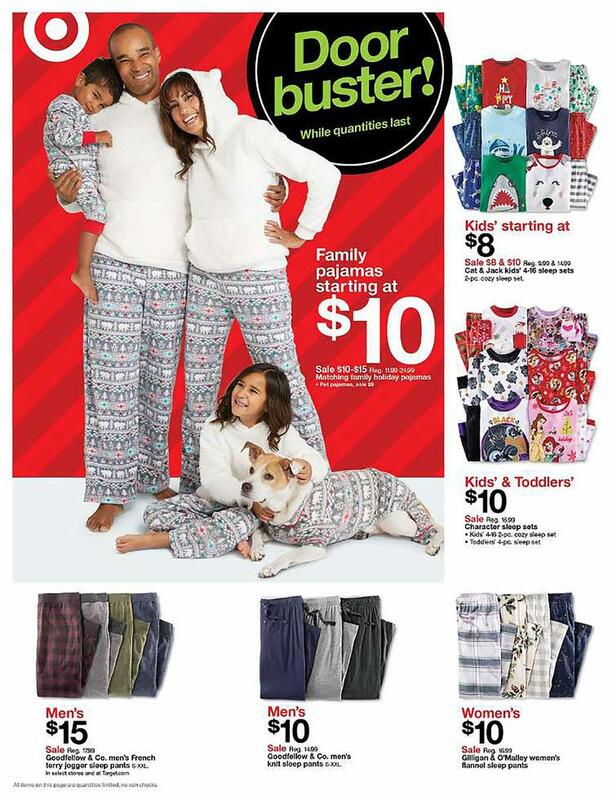 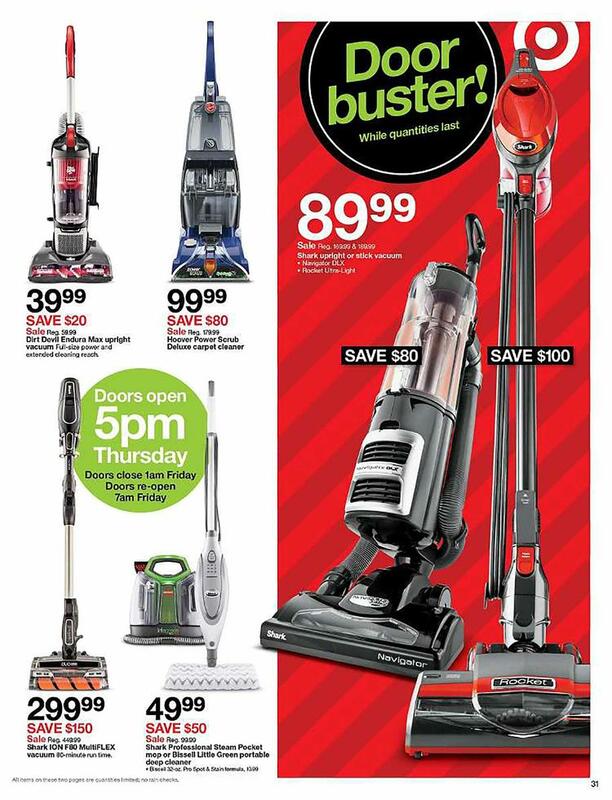 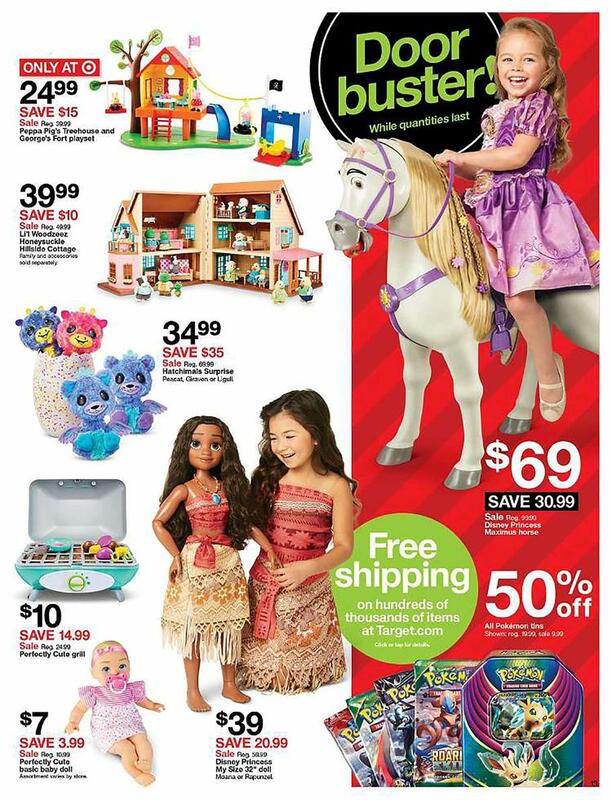 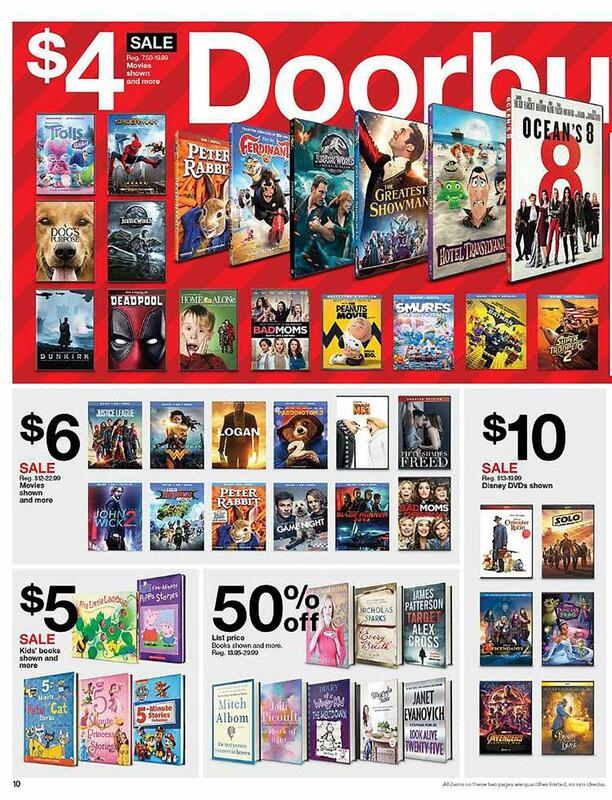 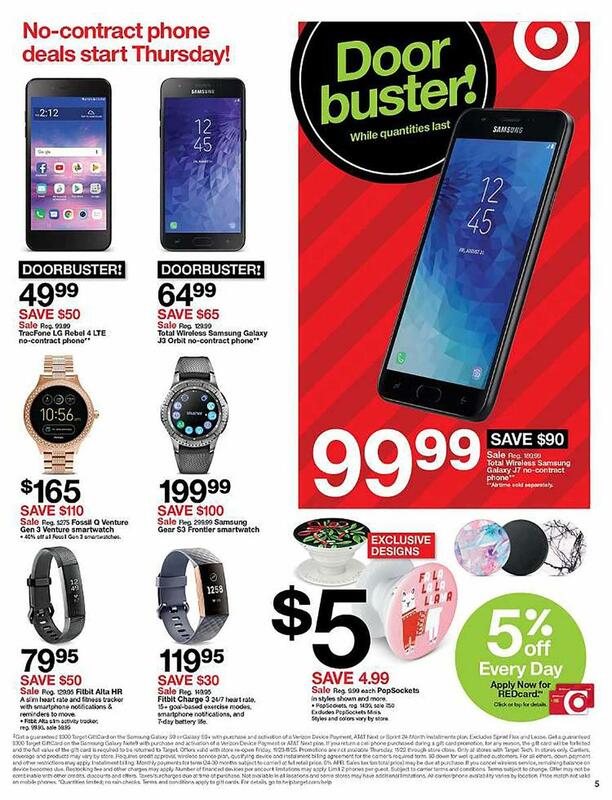 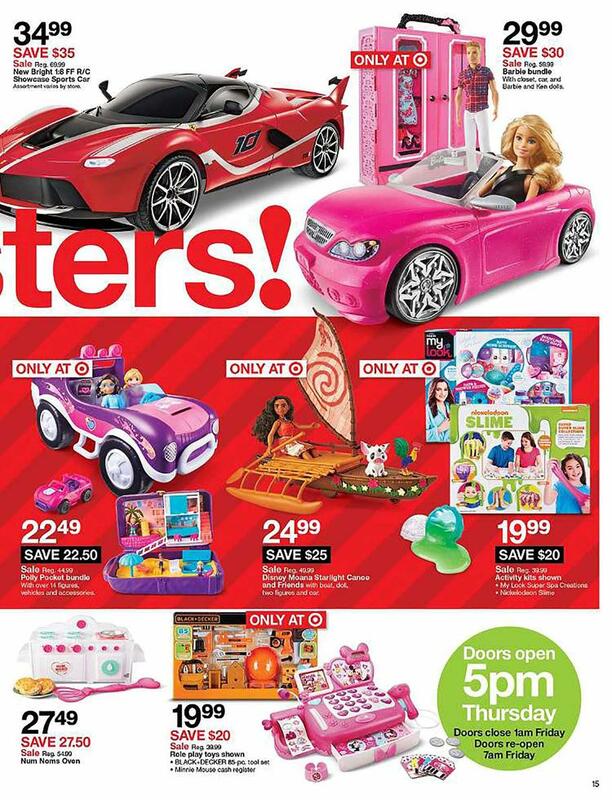 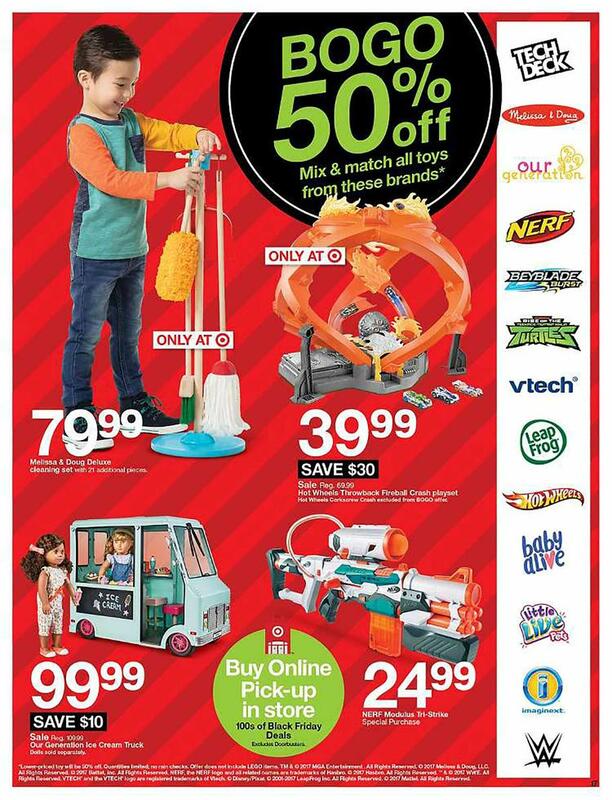 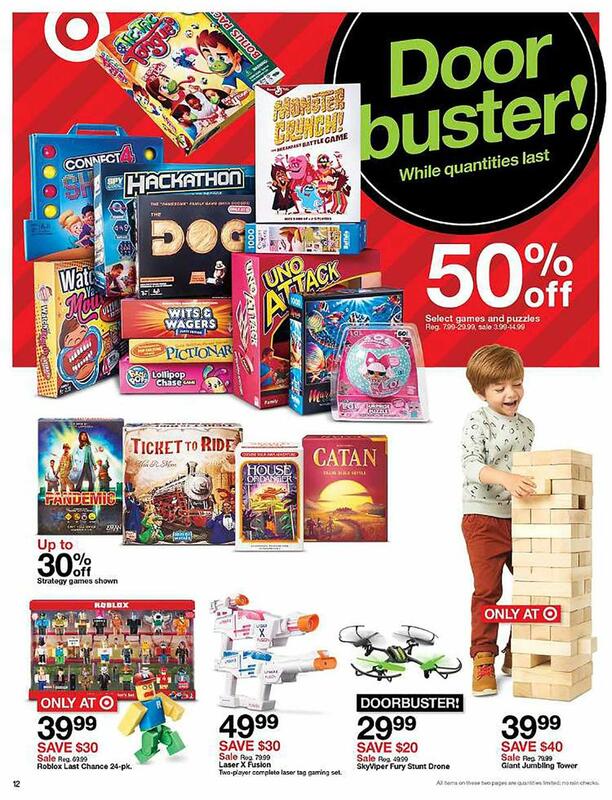 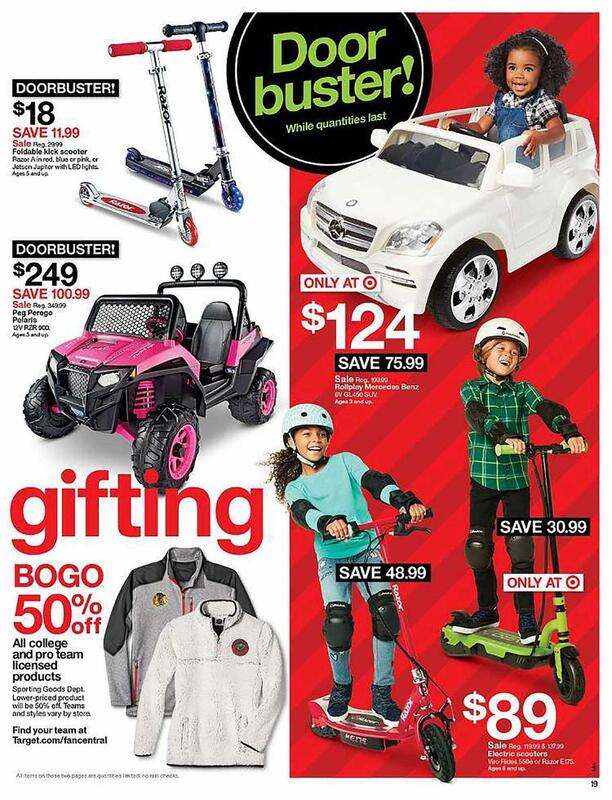 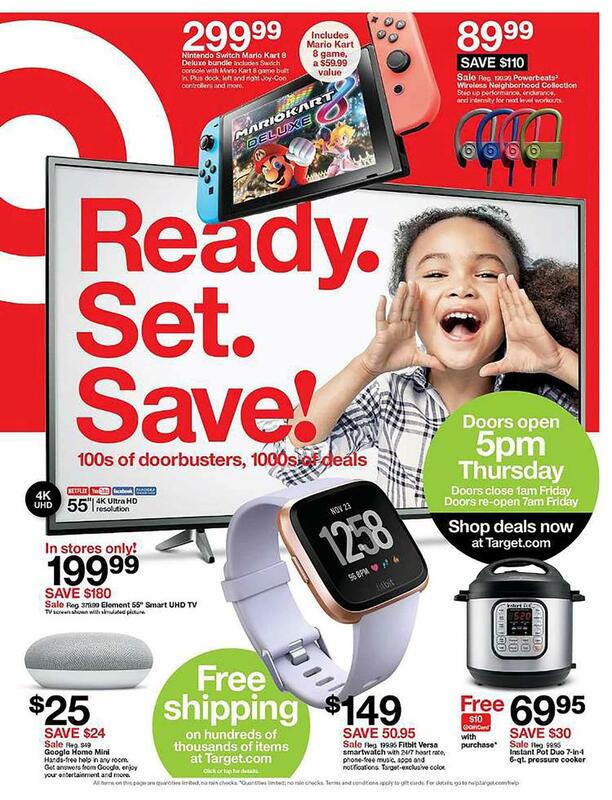 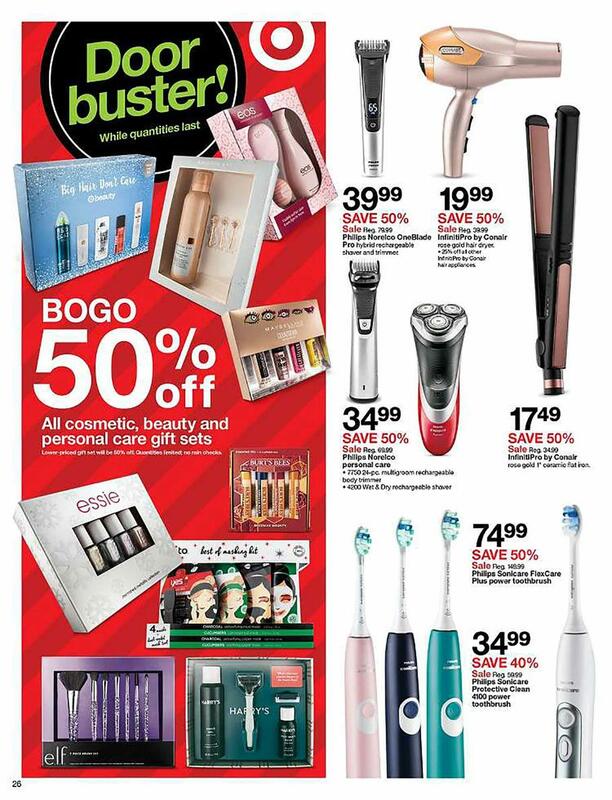 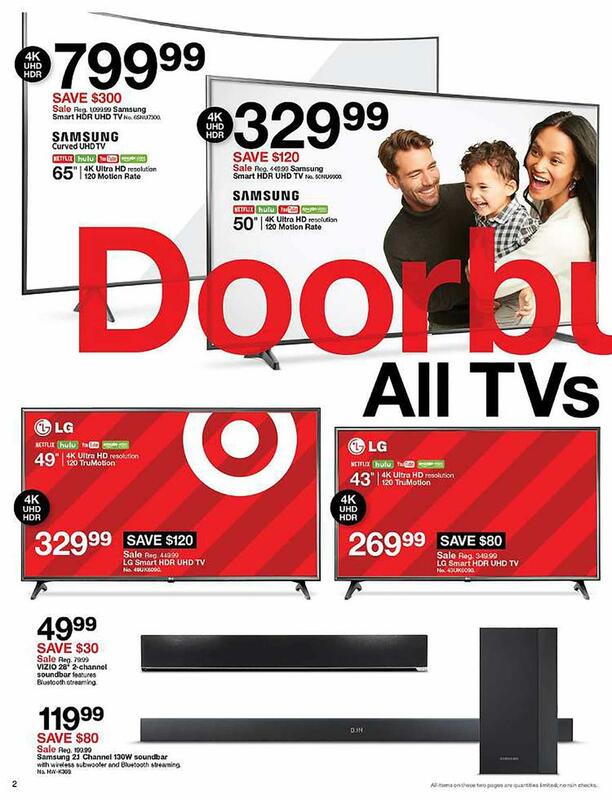 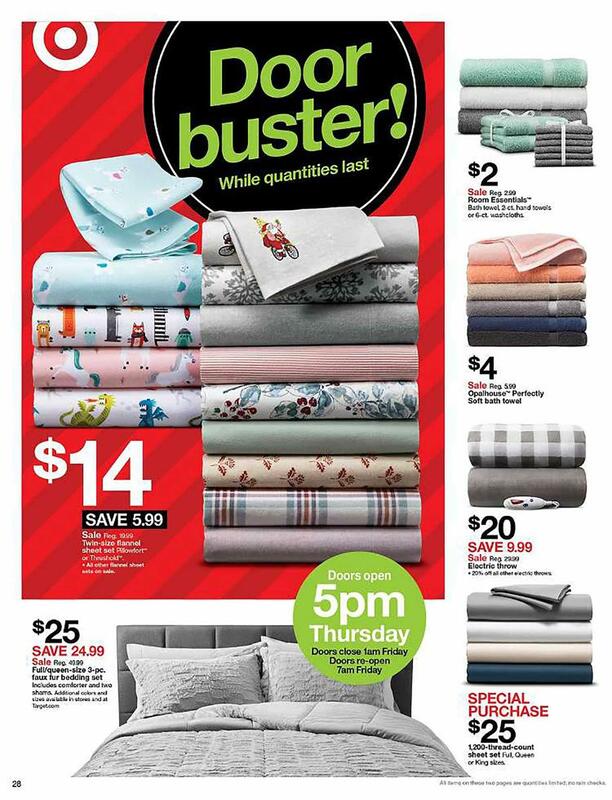 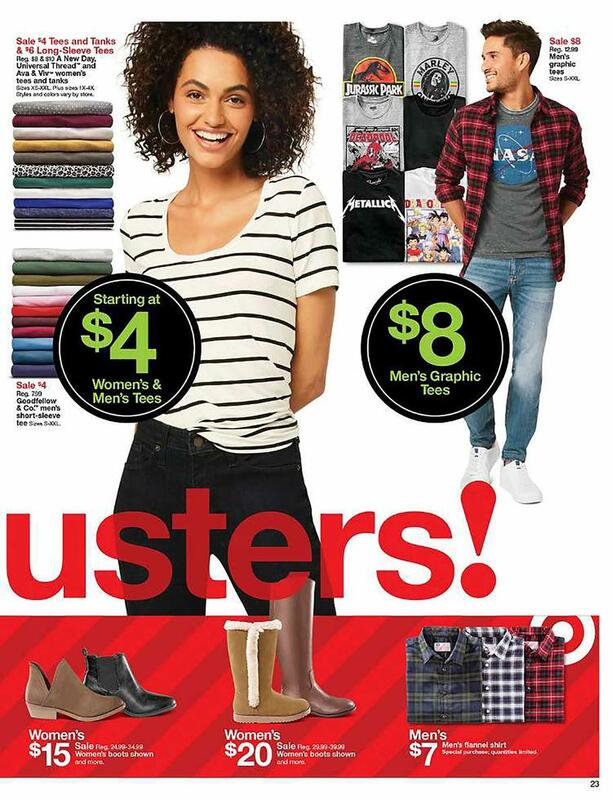 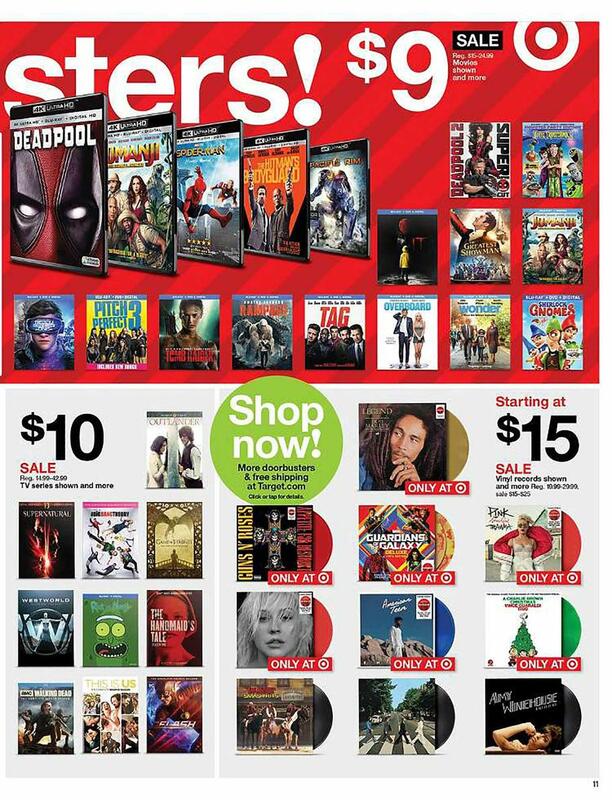 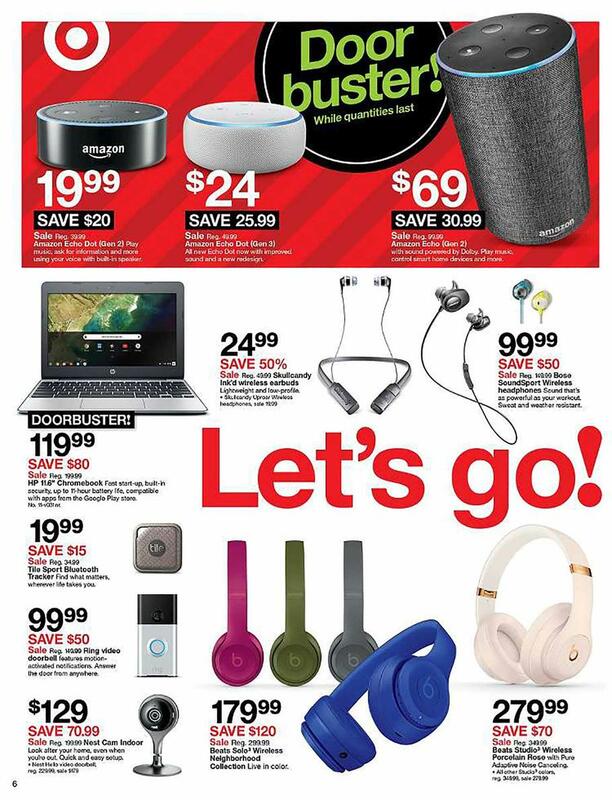 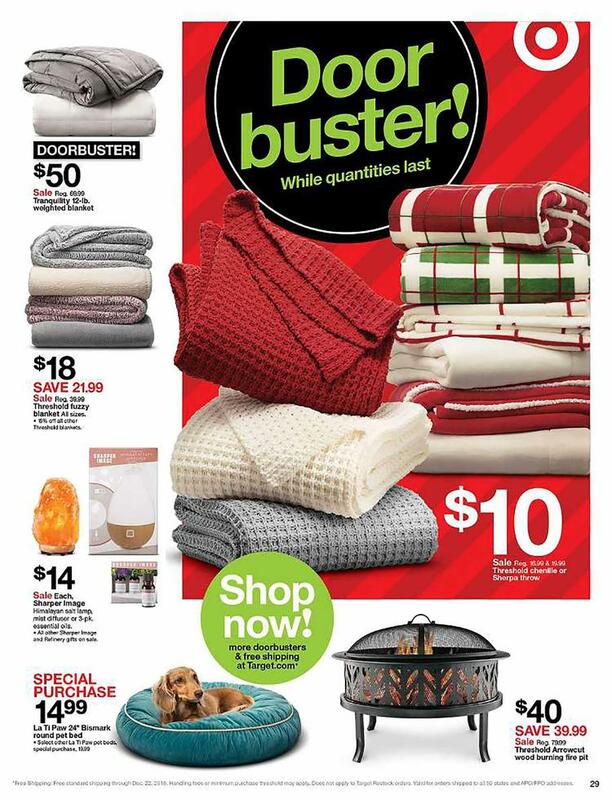 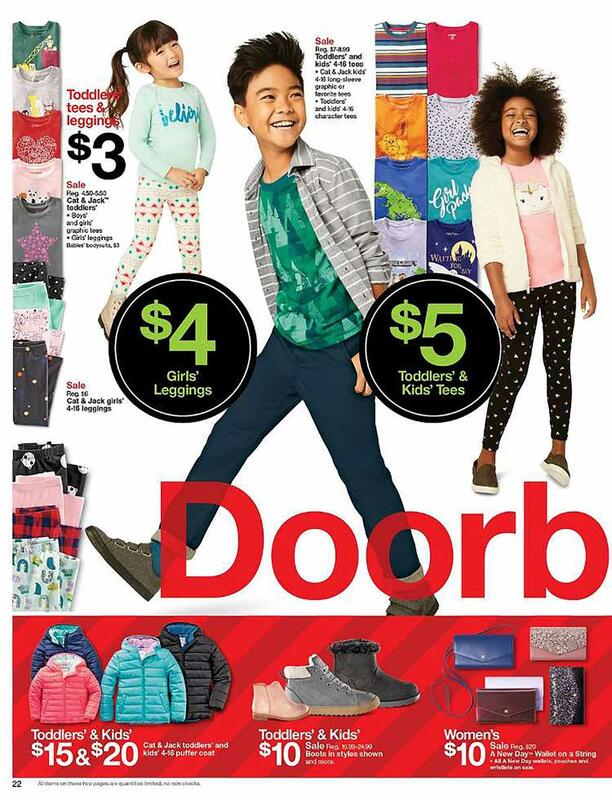 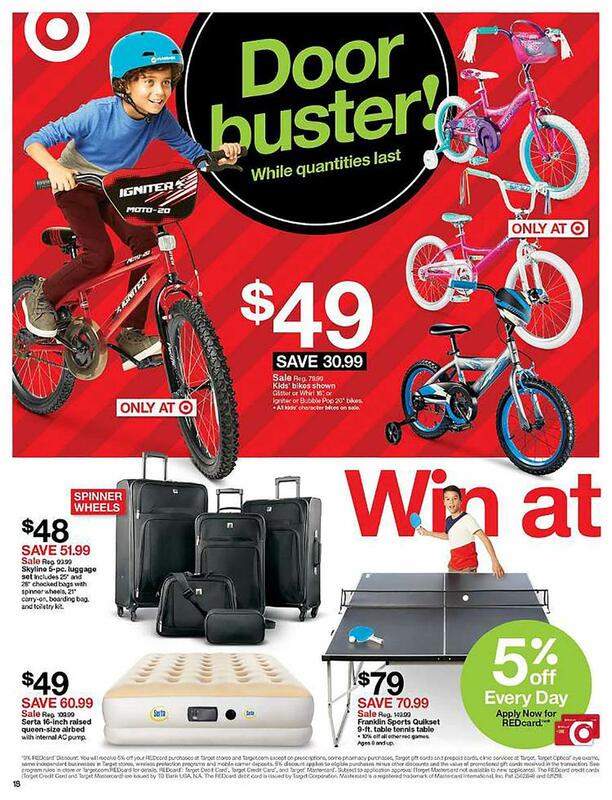 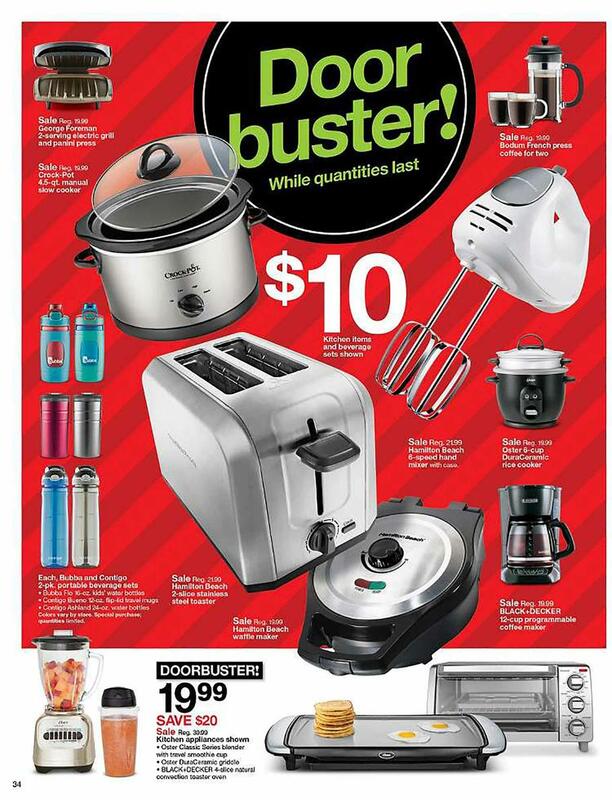 Shop Target Black Friday Doorbuster Deals from 5PM Thursday until 1AM Friday, and from 12PM Thursday online. 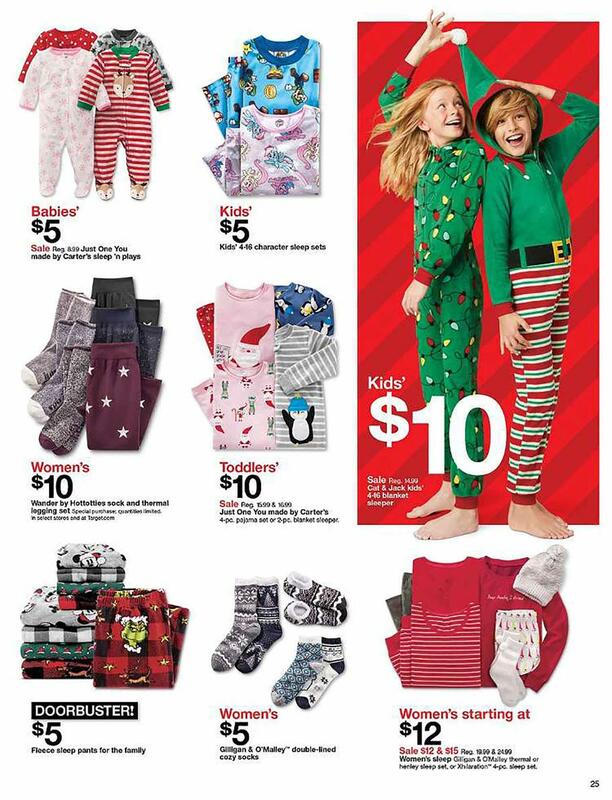 Free Shipping available on hundreds of items. 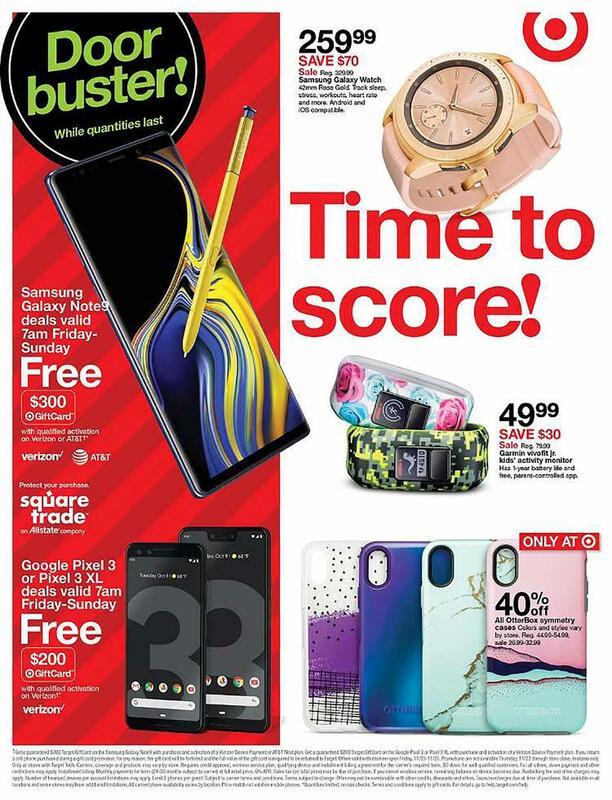 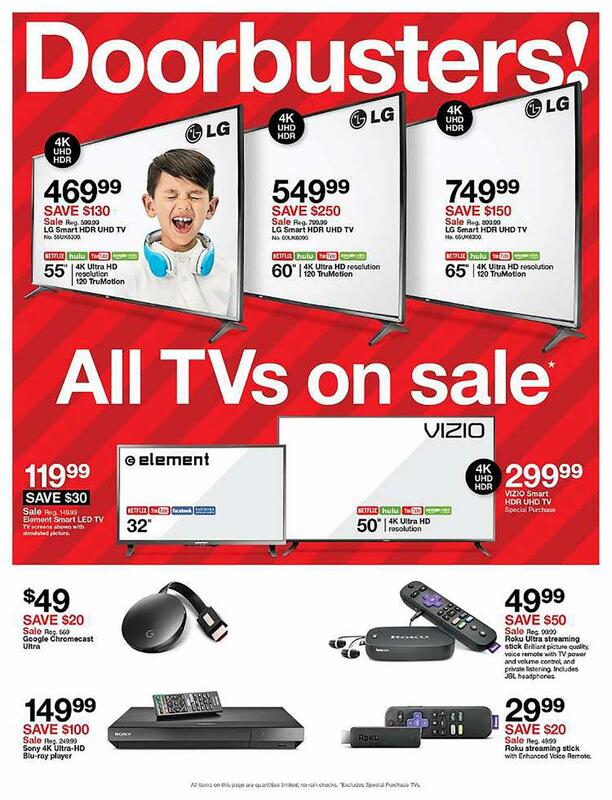 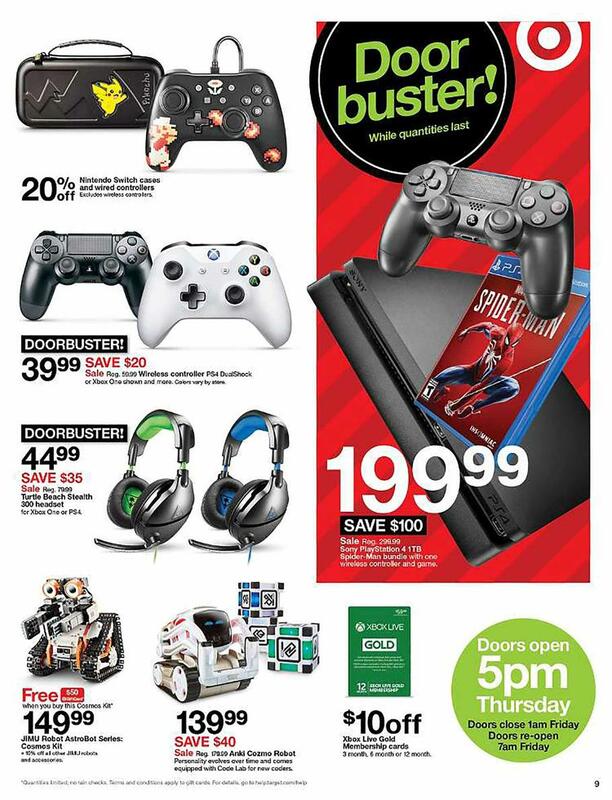 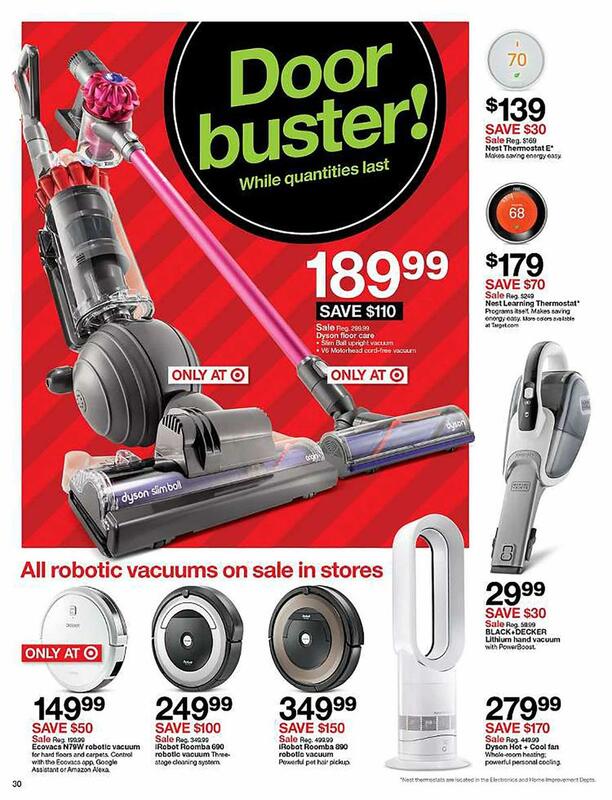 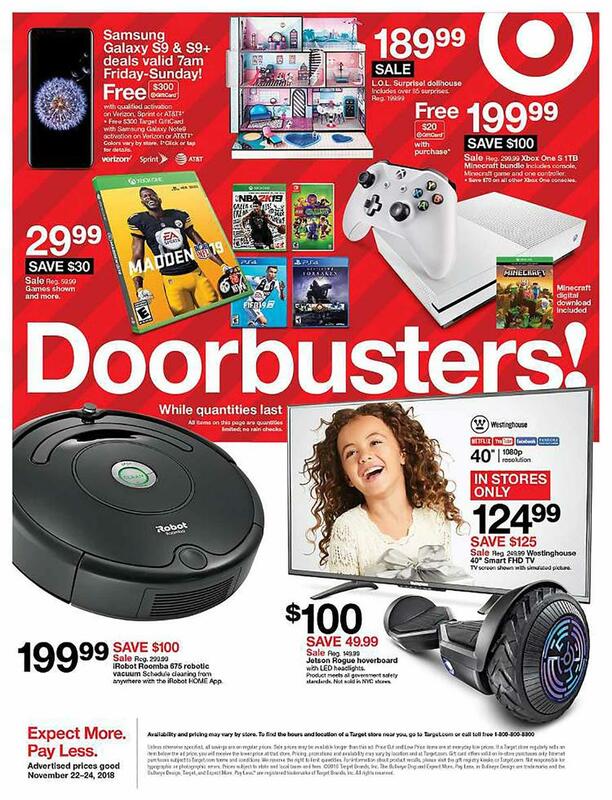 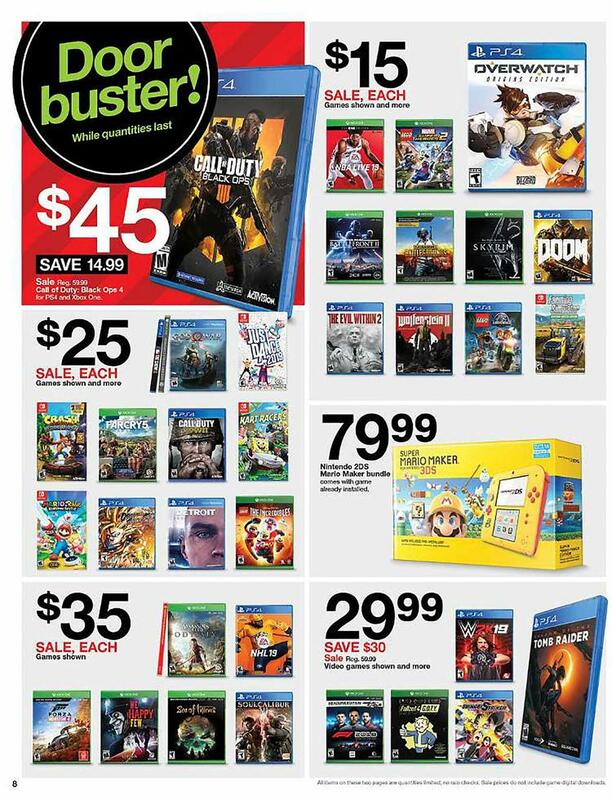 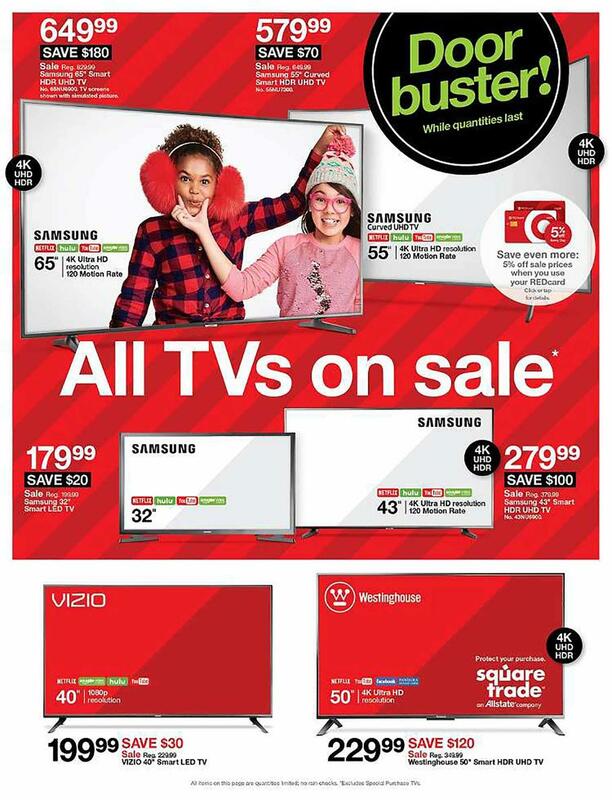 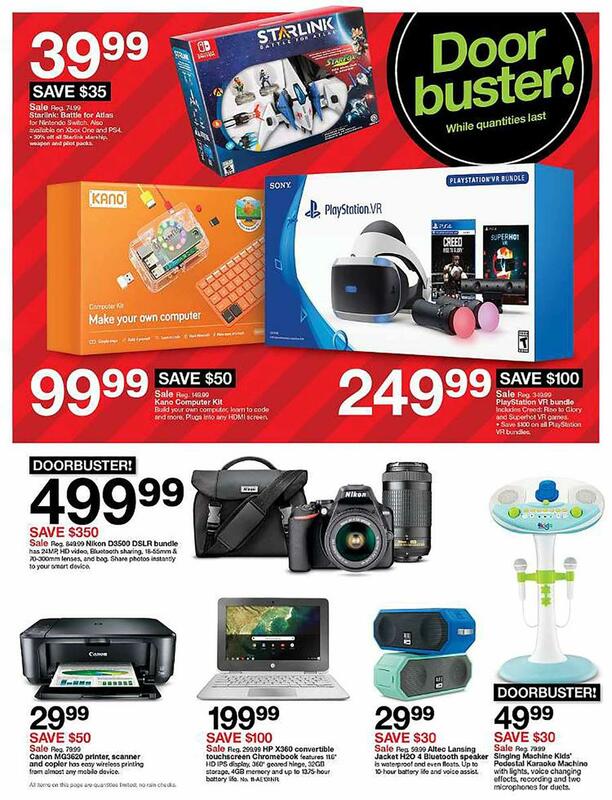 Top Target Black Friday Doorbusters: Hisense Smart Ultra HDTV; Samsung 4K Smart Ultra HDTV; Xbox One 500GB Console Gear of War Bundle + $60.00 Gift Card – save $50; Beats Solo 2 On-Ear Headphones – $199.99; Nikon D3300 DSLR Bundle + Free Wi-Fi Adapter. 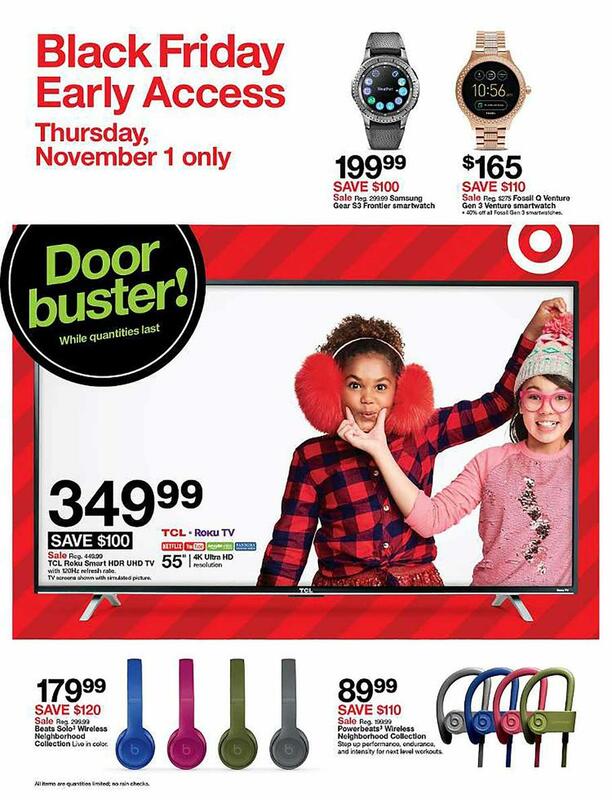 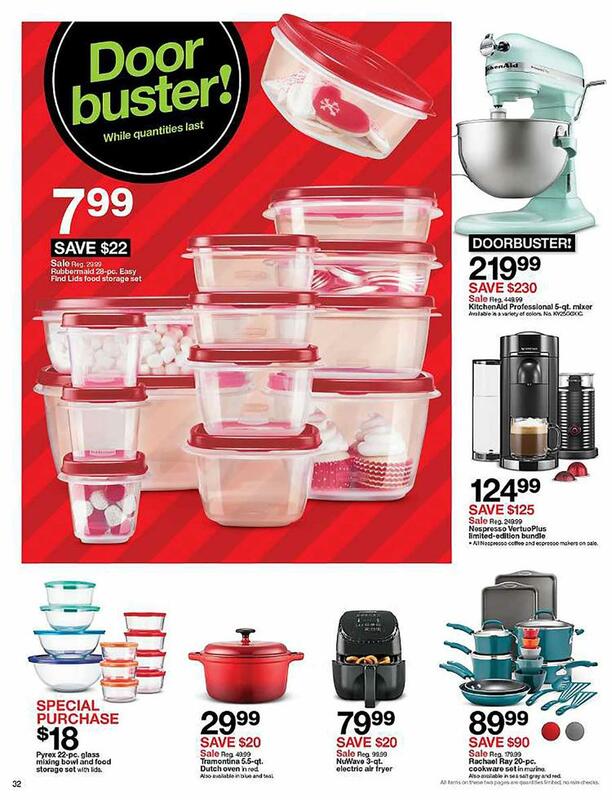 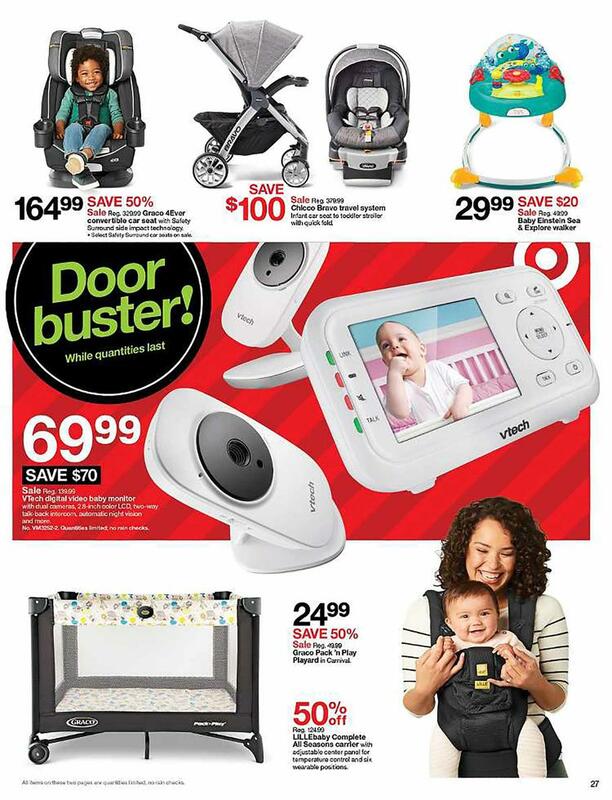 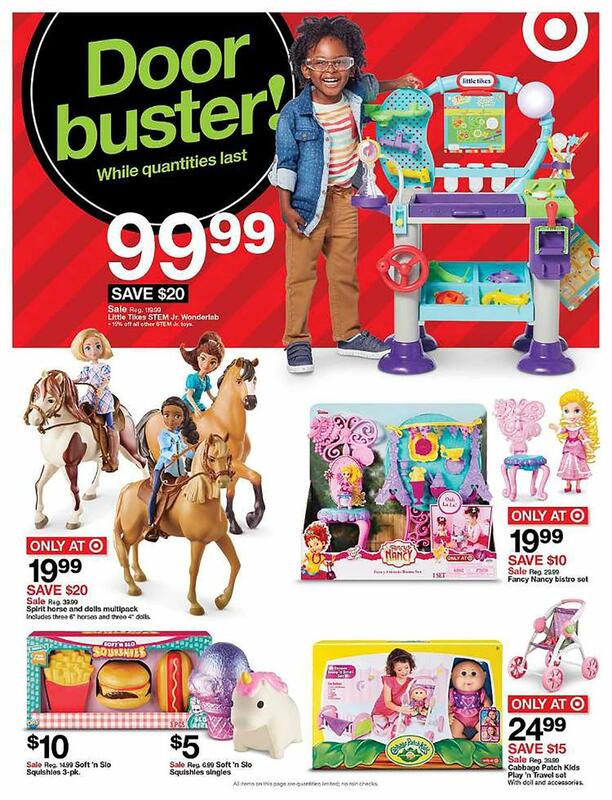 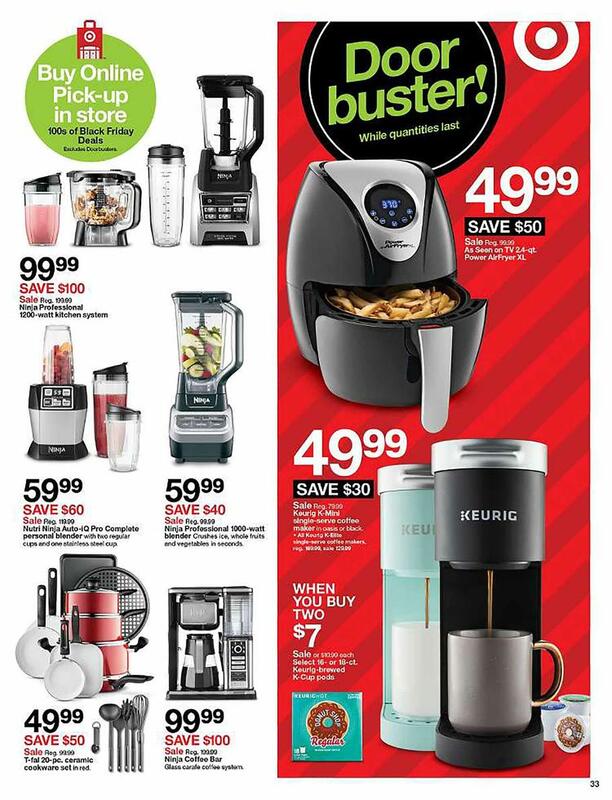 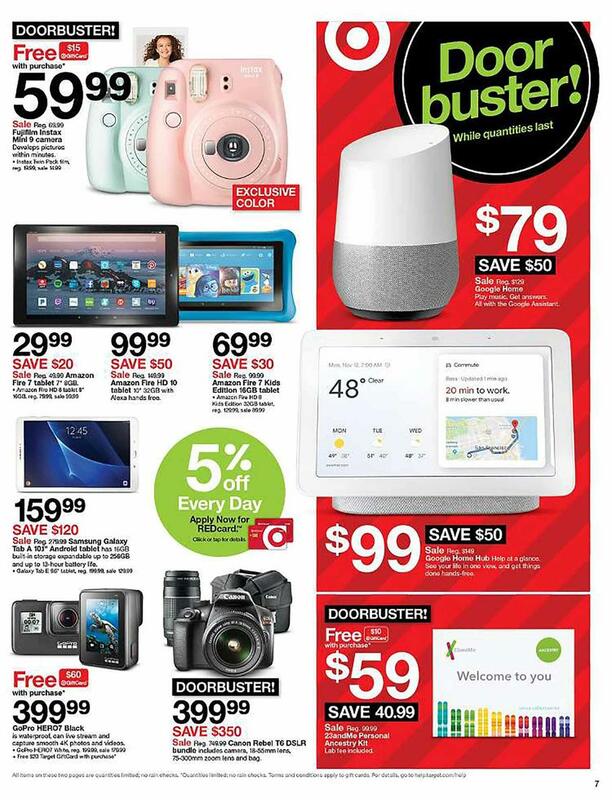 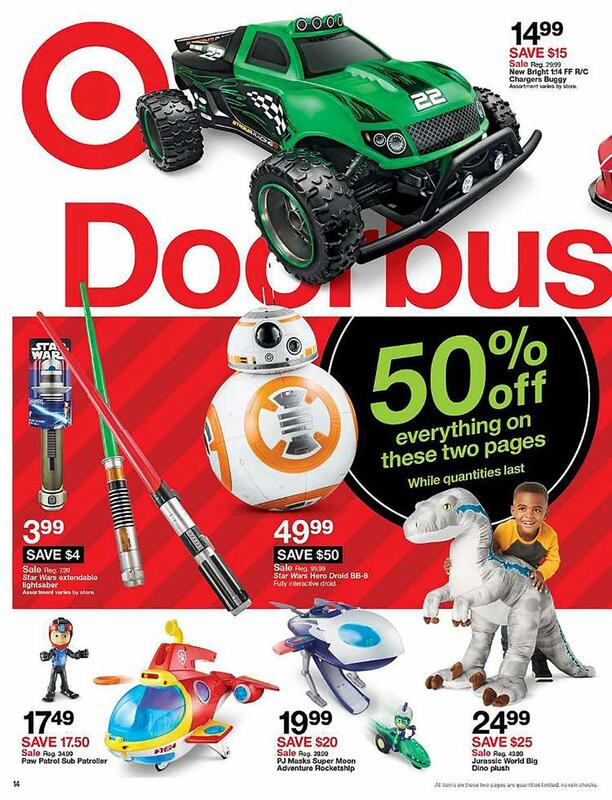 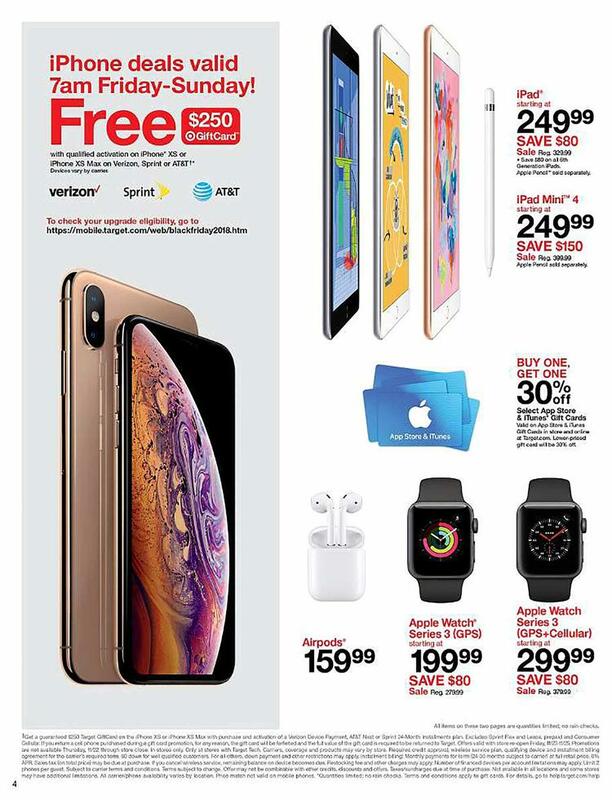 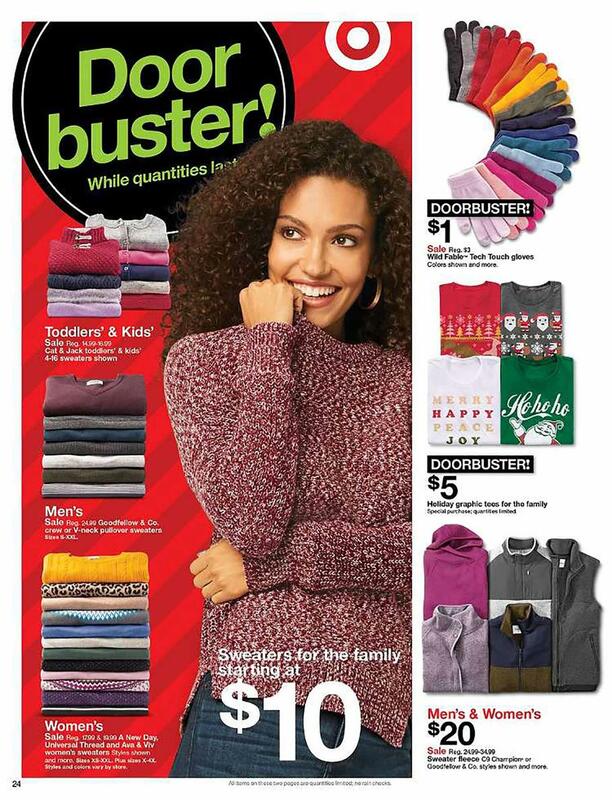 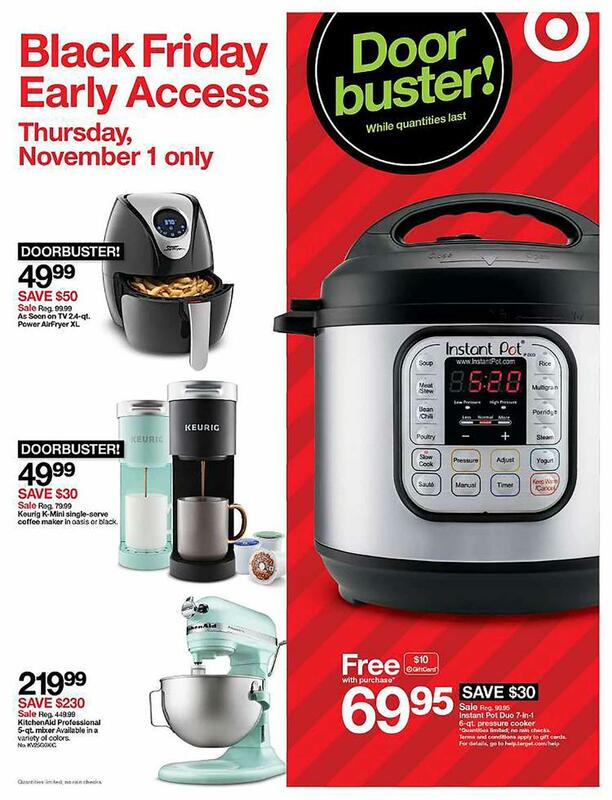 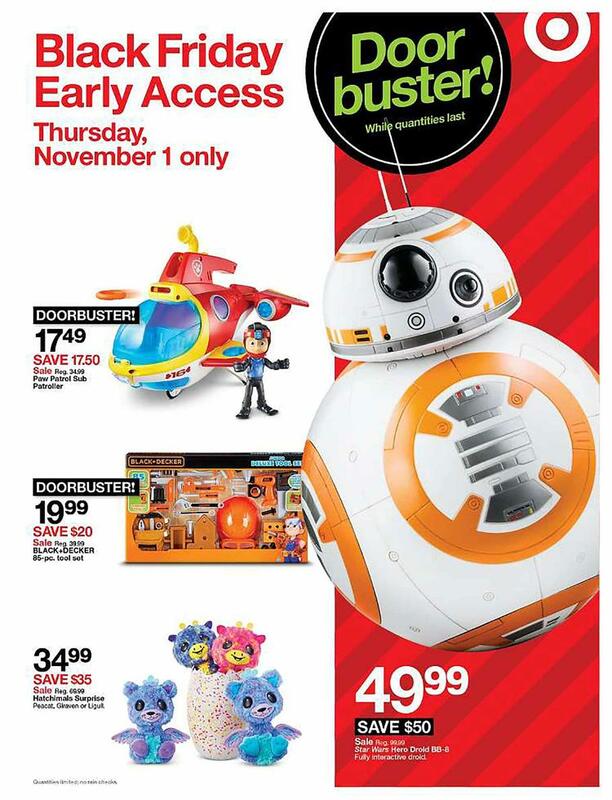 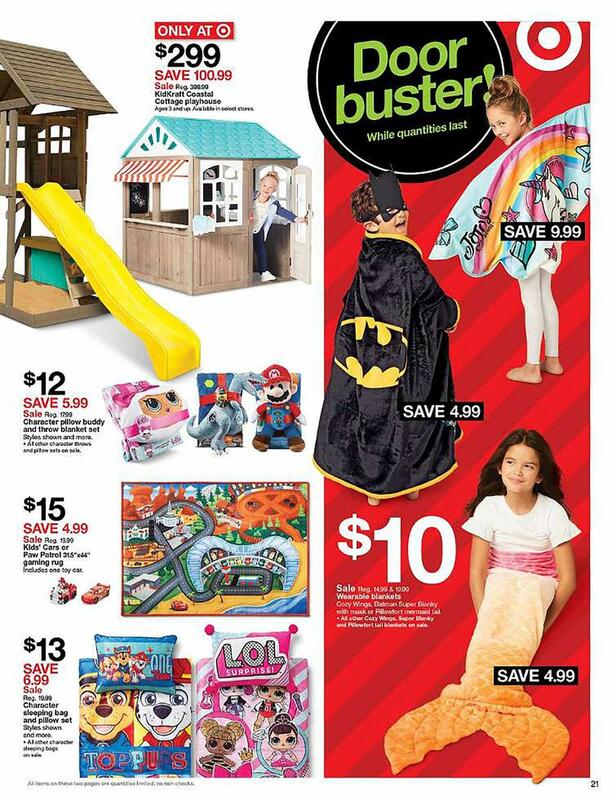 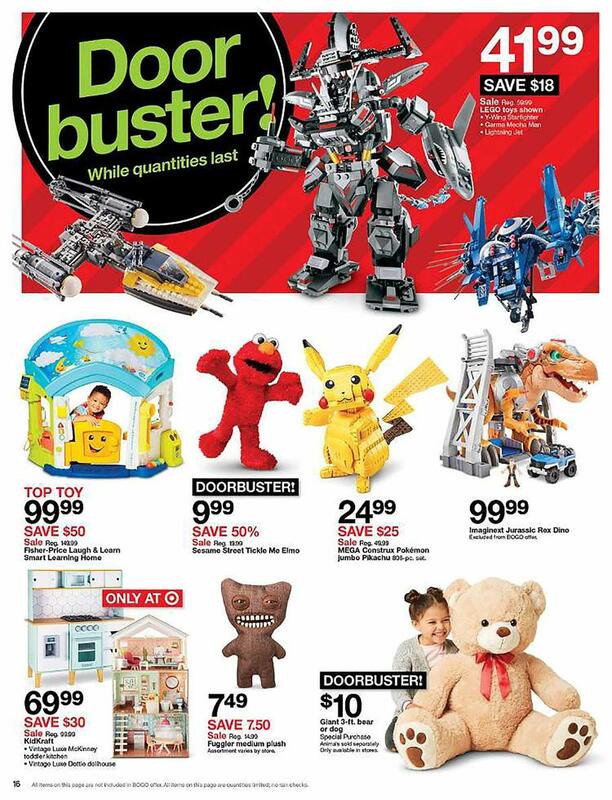 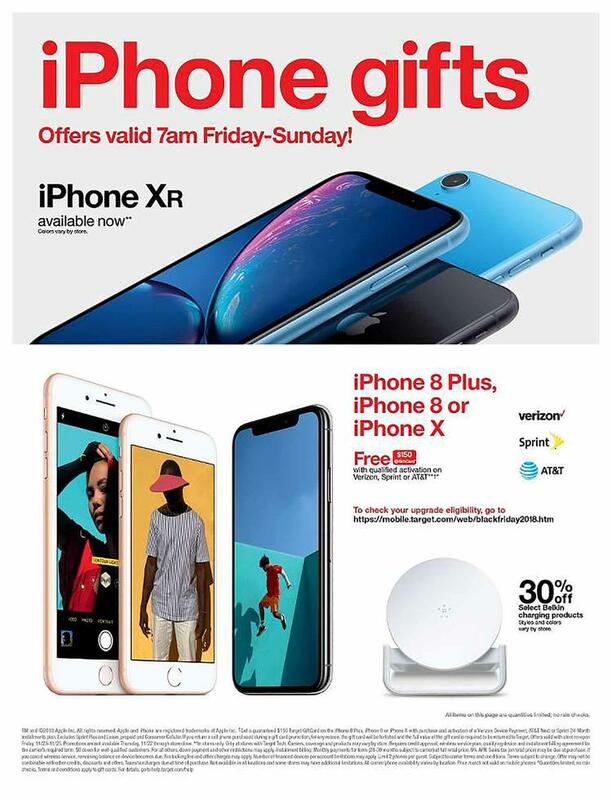 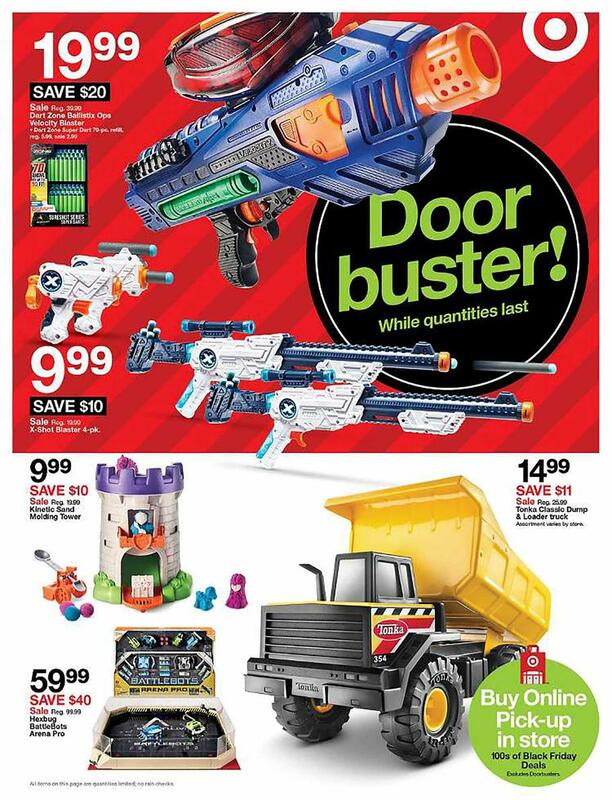 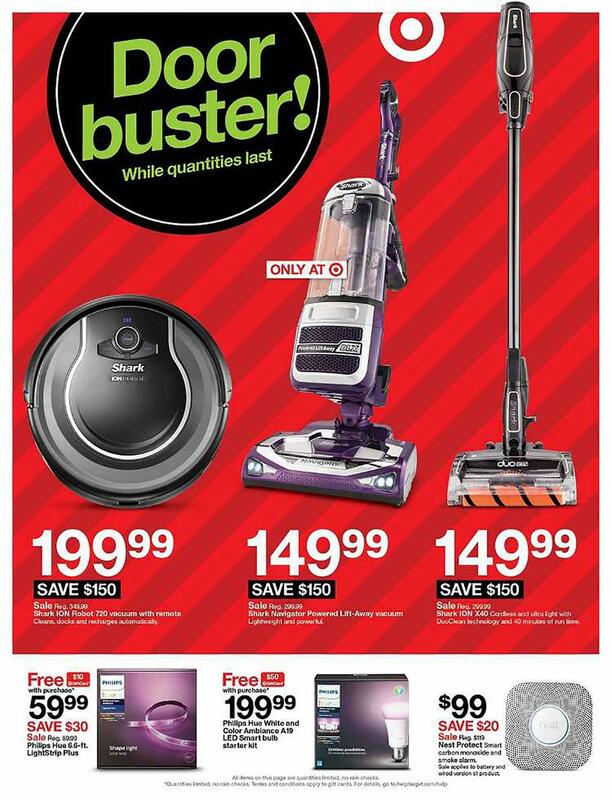 Target Black Friday Ad 2018 – Doorbuster Deals.